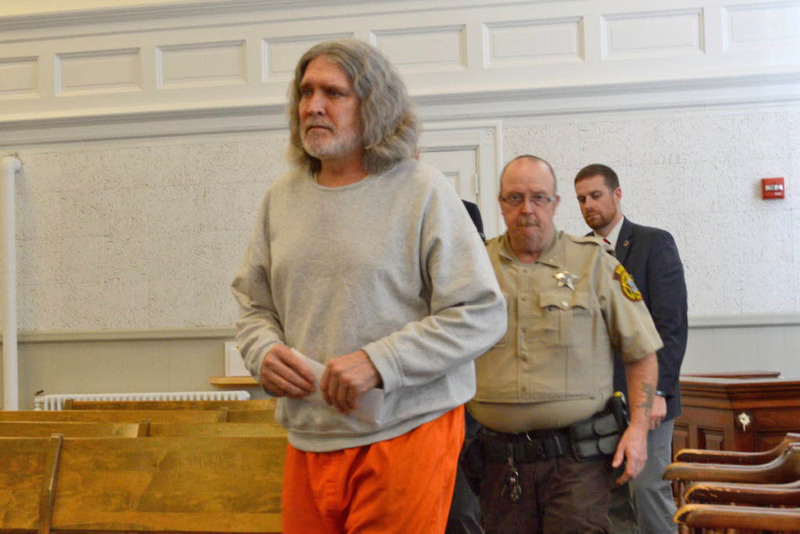 James "Ted" Sweeney, 58, formerly of Jay, enters Franklin County Superior Court on Thursday in Farmington, followed by jail transport officer Cpl. Phillip Richards and court officer Cpl. John Irving. Sweeney pleaded not criminally responsible by reason of insanity in the bludgeoning death of his girlfriend in Jay last year.